Ask a random person off the street to describe a harp, and they are likely to describe a huge, bulky instrument. However, all harps are not equal. They range in size in type. But where, exactly, did this seemingly simple instrument come from? The harp is an ancient instrument, having been around since as early as 2500 B.C., that continues to be a major force in the modern-day music world. This instrument has evolved in many ways in the last four millennia. The different harps have come from and evolved from Egypt, Ireland, and many other places and cultures. Harps such as the diatonic, triple-strung, single-action pedal, chromatic cross-string, and the double action pedal have been used. The kinnor, which is an ancient instrument played by King David as told in the Old Testament, is often confused with the harp. The kinnor is actually a type of lyre. However, the first true harp can be traced back to ancient Egypt. In Ancient Egypt, the earliest evidence of a harp dates back to as early as 2500 B.C. These harps were actually bow-shaped or at a very small angle, which forced them to have a small number of strings. Due to the lack of a column for support, these harps were unable to support very much tension. The first column appeared in Medieval Western Europe in what came to be known as the frame harp in the 8th to 10th centuries. These harps were known as the frame harps. This was also the very first harp to use a soundbox to amplify the sound from the instrument. European harps differed from Irish harps and they were known as Renaissance harps. They had more strings attached to wooden pegs, and the pillar was thinner and less curved. These were known as diatonic harps. The triple-strung harps appeared in the late 16th century after an invention of a double-strung harp. A triple-strung harp has three rows of strings and it was easy to play and amplify. The single-action pedal harp was designed in 1720. 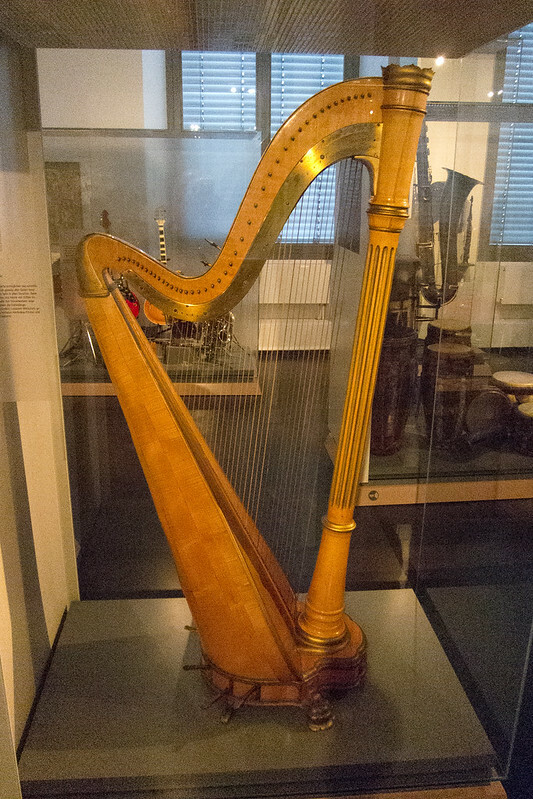 This harp was a combination of a diatonic harp and a single-string harp but included new features known as pedals. This harp only included five pedals, which the harps today use seven. Other harps that were designed off of the earlier inventions were amazing improvements from the diatonic and the double-action pedal. These harps were constructed in the early 1800s. The harp is a beautiful instrument people love to play and listen to the sounds the strings resonate. The history of the harp dates back all of the ways to 2500 B.C. and is still played today as a fine and quality instrument. Sylvia Woods Harp Center http://www.harpcenter.com is a harp store located in Glendale California and staffed by professional musicians that are ready and willing to answer your harp questions. Billings Farnsworth is a freelance writer.